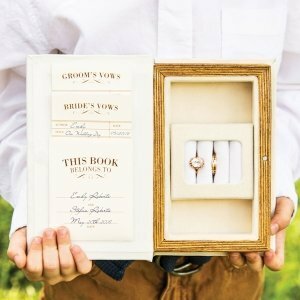 A unique alternative to a ring pillow, this "A Promise Made" Vintage Inspired Vow & Wedding Ring Box adds a touch of antique charm to your wedding. 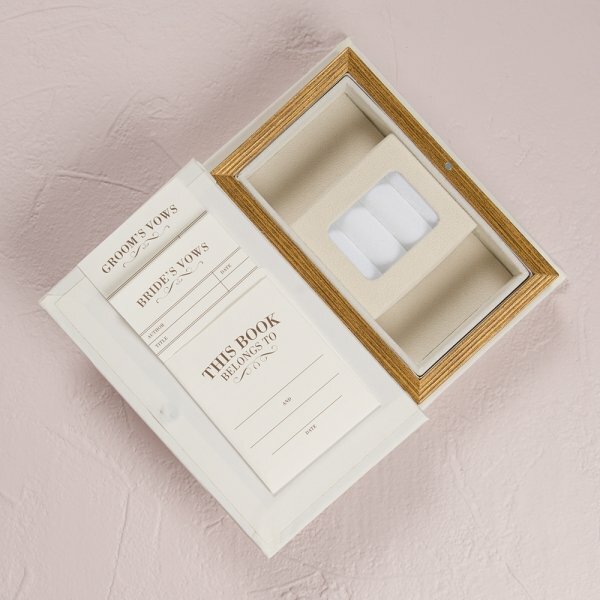 Meant to simulate a library book, the jewelry box includes a special place to write and keep you wedding vows as well as a jewelry compartment to store your wedding rings after your special day. 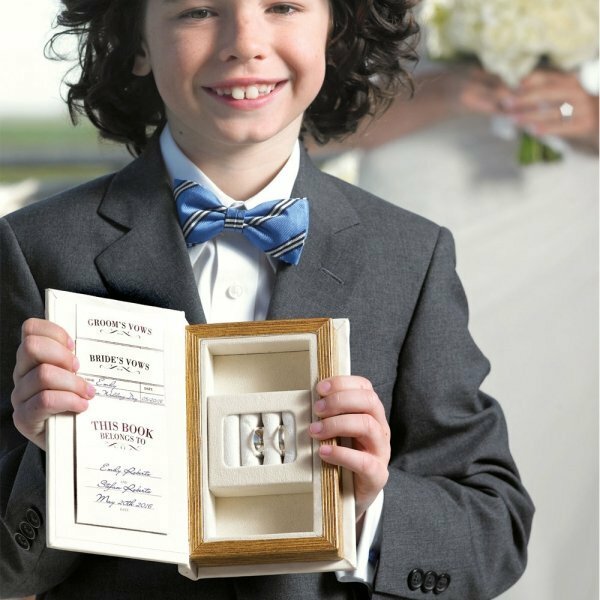 It's a keepsake you'll cherish for years to come. 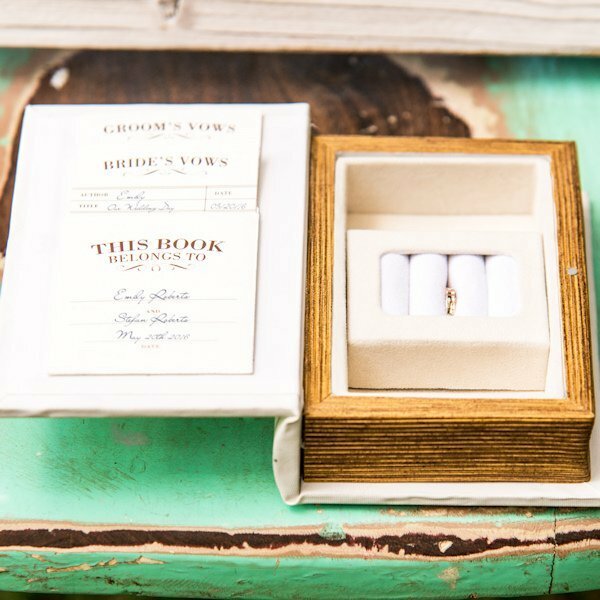 Box measures 4 1/2" wide x 7 1/4" high x 1 3/4" deep. 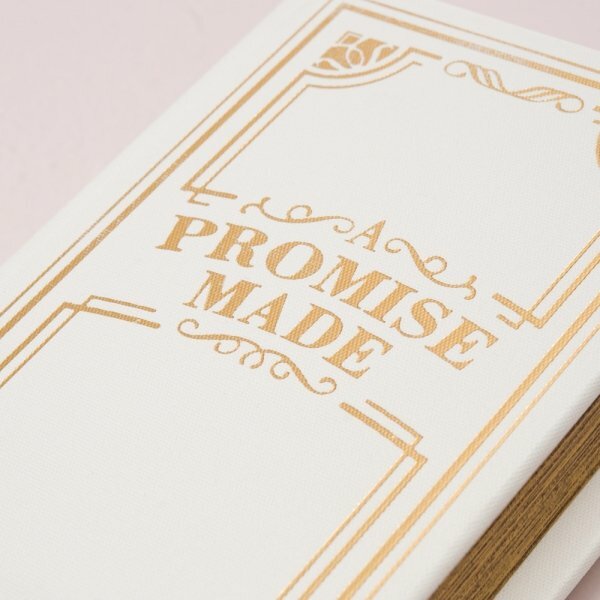 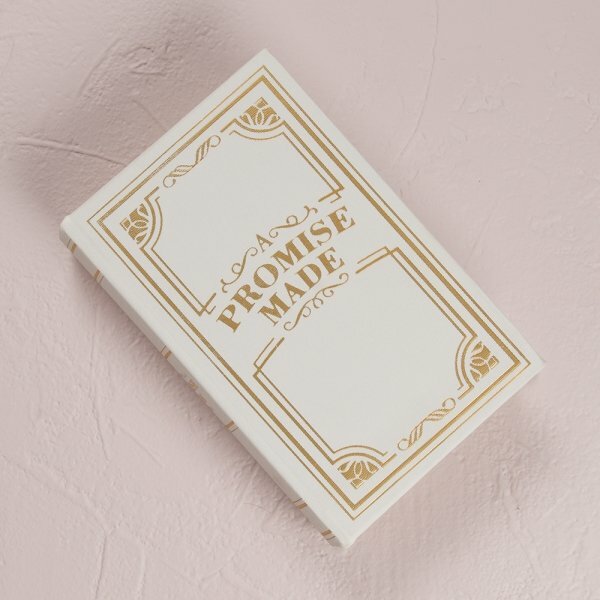 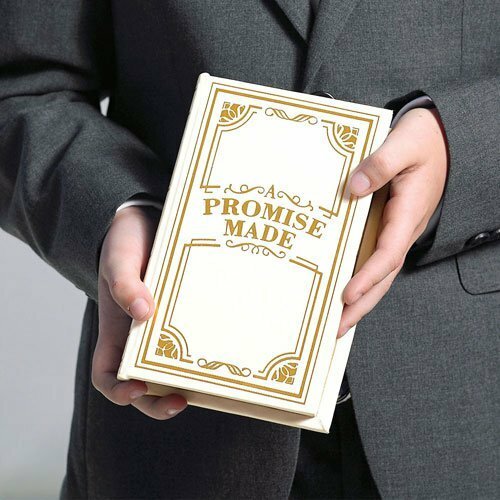 Hello, I'm looking at the item 'A Promise Made' Vintage Inspired Vow & Ring Box and I was wondering if there's more info about the vow inserts. 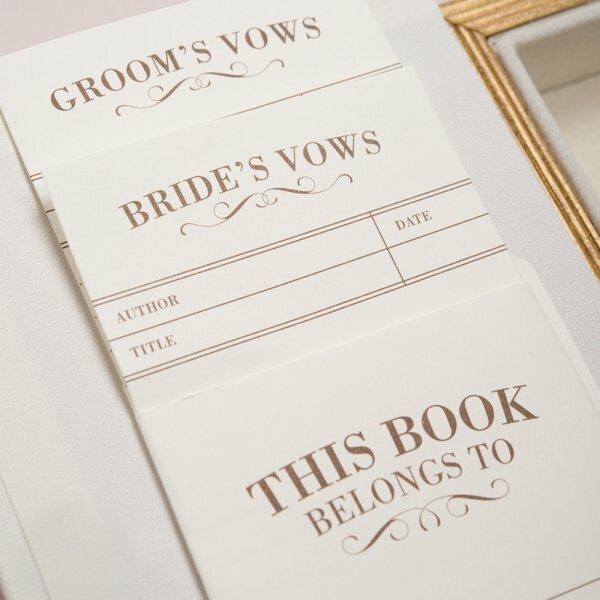 Like how many pages there are and such? 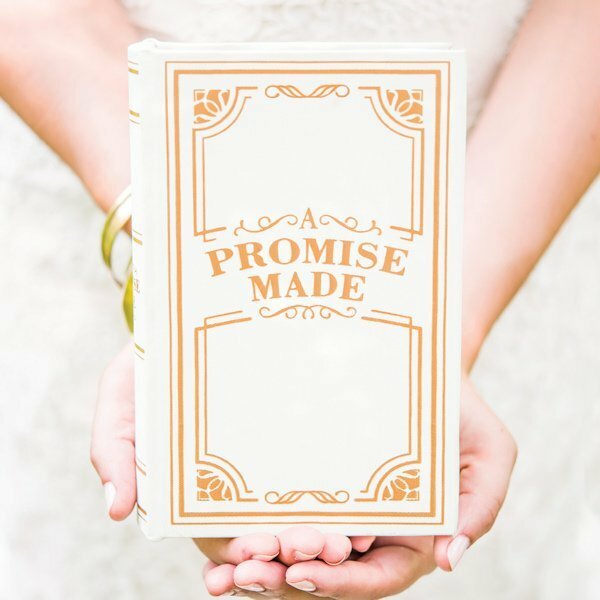 This 'A Promise Made' Vintage Inspired Vow & Ring Box is only a box without any pages inside. 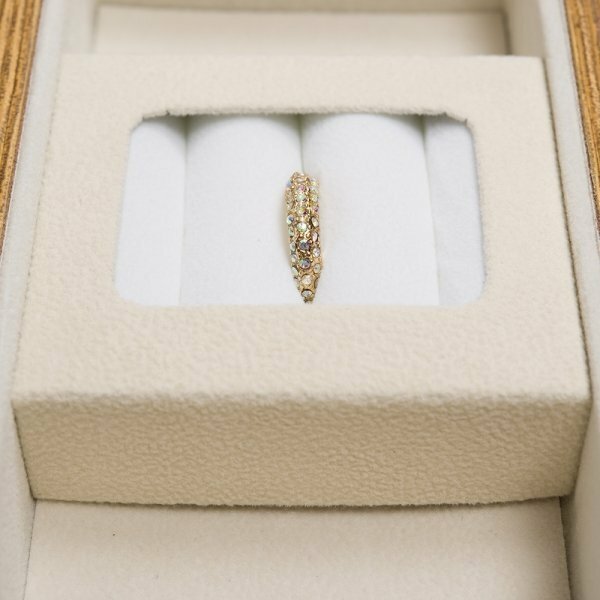 You can click on the photos listed in our product page to take a closer look on this item.